The Power of Children will be on display at the Irving D. Memorial Museum at Historic Charlton Park from June 17 to August 10, 2018. The exhibit will be open M-F from 9 a.m. to 4 p.m., and on special events weekends. In There is no additional cost to visit the exhibit or attend any of the presentations. Thursday, June 21 – Voices, presented by local theater enthusiasts. The Power of Children exhibit components includes a collection of monologues put together by The Children's Museum of Indianapolis. These monologues feature people who were integral in each child's experience, and add another dimension to their story. Local theater enthusiasts from Barry and Kalamazoo counties have taken on the roles of these important people, and will perform the monologues in the Carlton Center Church. Tuesday, July 10 – My Mother’s Voice, presented by Judy Sima, Storyteller. Ms. Sima will tell the compelling story of her mother’s encounter with the Gestapo, escape from Germany, and adjustment to life in America. The second part of the program will encourage participation from the audience to tell stories about their parents. The presentation will take place in the Carlton Center Church. Thursday, August 2 – Oh Freedom! Songs of the Civil Rights Movement, presented by Chris Vallillo, Musician. In a show created to celebrate the 50th anniversary of the civil rights movement, award winning Illinois folksinger Chris Vallillo performs pivotal songs from the music that inspired and sustained this landmark movement. Intermixed with the music, Vallillo presents firsthand accounts of the historic struggle and discusses the impact of music to our nations most important social cause. 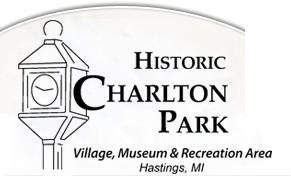 The concert will take place on the Village Green (rain location: Carlton Center Church).